Whiplash is an injury caused by a severe, rapid, forceful back and forth movement of the neck and head, typically in a motor vehicle accident. 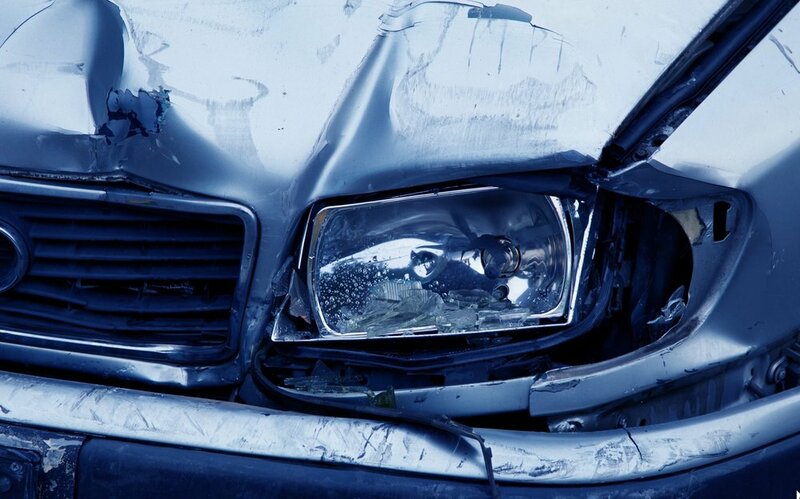 The auto accident itself does not have to be severe and whiplash can be experienced by anyone riding in the vehicle at the time of the collision. What may seem like minor whiplash discomfort or pain can actually develop into severe pain within a few days so determining the extent of the injury and receiving proper treatment, especially non-invasive chiropractic, can bring relief and healing, and help prevent it from continuing to worsen making it more difficult to treat. In the course of whiplash, the muscle and/or tendons connecting muscles to the bones are damaged. Whiplash symptoms may include not only neck pain but stiffness, more limited range of motion in the neck, tenderness in the neck, shoulder, upper back or arms, tingling, numbness, fatigue and headache. Especially if left untreated, the pain can worsen when moving the neck. In 2016, the Bone and Joint Decade Task Force on Neck Pain and Its Associated Disorders found that chiropractic manipulation and clinical massage are all effective interventions to manage whiplash-associated disorders. Chiropractic manipulation which we refer to as chiropractic adjustment is the act of performing adjustments (manipulations) to the spine or other parts of the body with the goal of correcting alignment problems, alleviating pain, improving function, and supporting the body's natural ability to heal itself. Passive rehabilitation through interferential therapy, low level laser therapy, trigger point therapy, ultrasound and spinal decompression treats soft tissue to maintain, develop, improve or rehabilitate the patient's functioning of the joints’ muscles and the discs’ healing process. In the study entitled, “Outcomes One Year after a Road Accident: Results from the ESPARR Cohort,” an interesting conclusion about patients with whiplash one year post-accident is that 45% of the mild-to-moderate injury group versus only 20% of severely injured subjects reported full recovery of health. As a whole, 20% of the group studied reported permanent pain. “More than half of the severely injured subjects reported that the accident had had an impact on the everyday life of their family; this was twice as many as in the mild-to-moderate injury group (55% vs. 22%).” Most of the severely injured reported impact on leisure, projects and emotional life, mean time off work and had not returned to work at one year after the accident, compared to 5% of the mild-to-moderate injury group. Scientific conclusions present that one year after a road accident, consequences for victims of auto accidents and subsequent whiplash remain significant when victims have not sought out effective treatment. Pain frequently persists, impairing daily life for many. The large majority of whiplash injuries from automobile collisions actually occur at low speed. The scientific study, “Do ‘whiplash injuries’ occur in low-speed rear impacts?” indicates that the “‘limit of harmlessness’ for stresses arising from rear-end impacts … lies between” 6 and 9 miles/hour. The sudden whiplashing movement of the head and neck in an auto accident can be deceiving especially when involved in a low speed accident, so the best course of action is to get an orthopedic and neurological evaluation from your chiropractor who can give you the correct diagnosis. This evaluation includes sprain/strain X-rays to determine the severity of the whiplash or injury to the neck post motor vehicle crash. Don’t wait. The best time to treat whiplash begins immediately after the accident. If properly treated many whiplash injuries can have full recovery without residual long-term issues. It’s also never too late to work on old injuries in your spine. Call us today for a complimentary consult. Tournier, C, et al. “Five Years after the Accident, Whiplash Casualties Still Have Poorer Quality of Life in the Physical Domain than Other Mildly Injured Casualties: Analysis of the ESPARR Cohort.” Current Neurology and Neuroscience Reports., U.S. National Library of Medicine, 5 Jan. 2016, www.ncbi.nlm.nih.gov/pubmed/26733122. Hours, M, et al. “Outcomes One Year after a Road Accident: Results from the ESPARR Cohort.” Current Neurology and Neuroscience Reports., U.S. National Library of Medicine, Jan. 2013, www.ncbi.nlm.nih.gov/pubmed/23200444. Hurwitz, Eric L., et al. “A Randomized Trial of Chiropractic Manipulation and Mobilization for Patients With Neck Pain: Clinical Outcomes From the UCLA Neck-Pain Study.” Am J Public Health. U.S. National Library of Medicine, Oct. 2002, https://www.ncbi.nlm.nih.gov/pmc/articles/PMC1447299. Castro, W H, et al. “Do ‘Whiplash Injuries’ Occur in Low-Speed Rear Impacts?” Current Neurology and Neuroscience Reports., U.S. National Library of Medicine, www.ncbi.nlm.nih.gov/pubmed/9455663.